Whether you grow them in a container near your house or plant them out in the garden among your other plants, topiaries add year-round beauty, texture, and structure to any area. They demand a bit more maintenance (usually three to four trimmings each year), but the effort is more than worth it. Follow this schedule and your topiaries will thrive and grow perfectly. 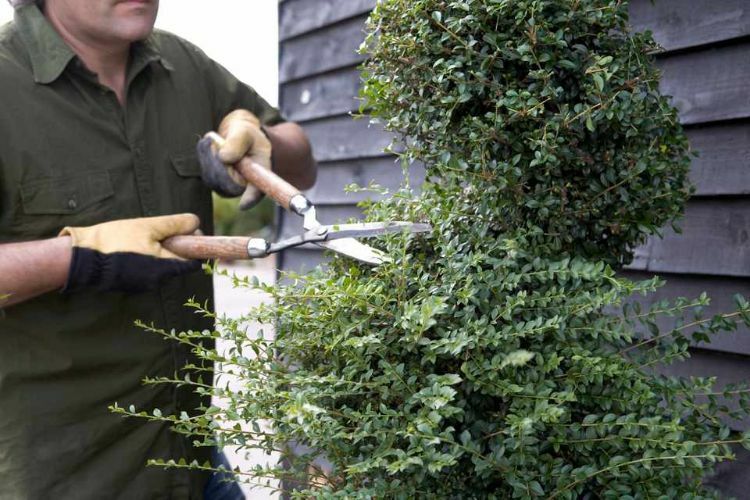 A long-handled shears is ideal for rough cutting and a pair of secateurs (smaller pruning shears with a spring handle) will do the detail work. Spray your tools with an anti-bacterial cleaner after each use, so you don’t spread disease from one plant to the other. 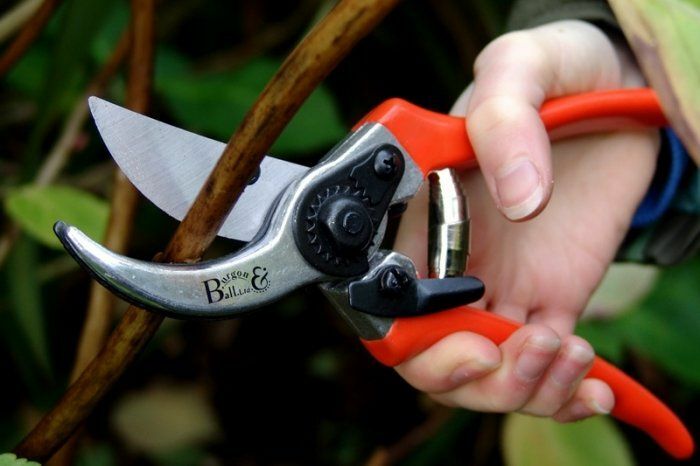 Keep the shears well-oiled at their pivot points, and make sure you keep the blades sharpened to make the job easier for you and to make healthier cuts on the plants. Find any dead or broken branches and remove them with your pruning shears. You can do this anytime during the year. Next, decide if you’re going to trim the plant back to its original size or if you want to let it grow larger. If you’re letting it grow, prune less of the new growth. 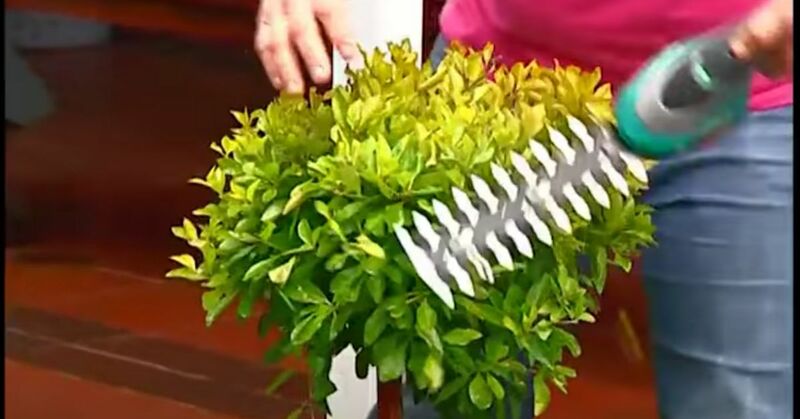 Trim the branches of the topiary into the approximate shape you want. 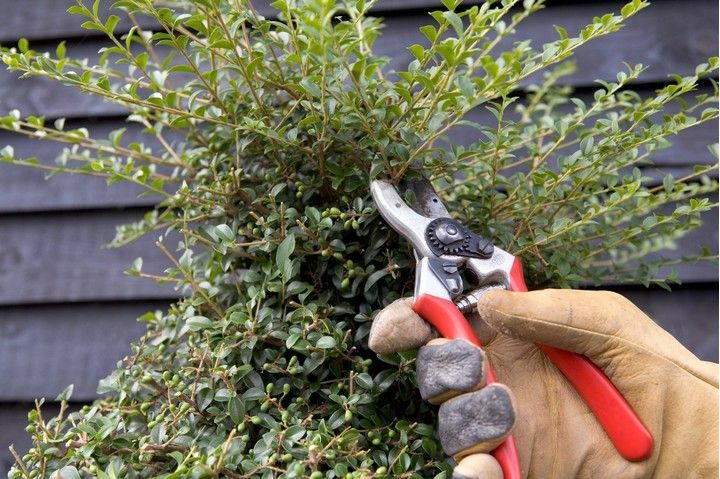 Use your long-handled pruning shears. They will let you cut from a variety of angles. Start at the top of the plant and work your way down. Be careful not to remove too much greenery at this stage. Cut the details into the topiary with your secateurs. These smaller shears allow you to make precise cuts in the branches, which gives them the correct shaping. Use the secateurs on thicker stems or any parts of the plant that need careful shaping, such as the top of this spiral. A word of caution: Try to prune your topiary on a cloudy day. An excess of sunlight on the newly cut branches puts stress on the leaves and may turn them brown. Make a circle template from flexible wiring to create round shapes on your topiary. Use it as a guide to help you cut the round areas, and if you want other shapes, bend more wire accordingly.